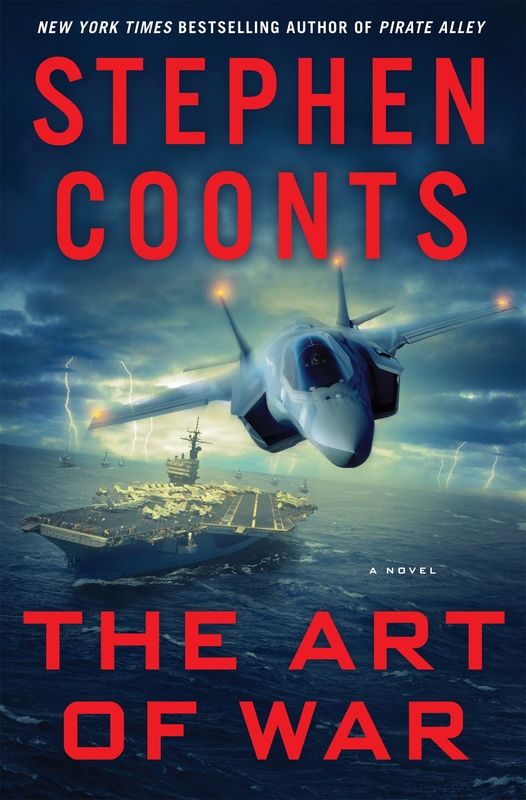 The art of war : a novel / Stephen Coonts. By: Coonts, Stephen, 1946- [author.]. Material type: BookPublisher: New York : St. Martin's Press, 2016Edition: First edition.Description: pages cm.Content type: text Media type: unmediated Carrier type: volumeISBN: 9781250041999 (hardback); 1250041996 (hardback).Subject(s): FICTION / Espionage | United States. Central Intelligence Agency -- Officials and employees -- Fiction | United States -- Foreign relations -- China -- Fiction | China -- Foreign relations -- United States -- FictionGenre/Form: Spy stories. | Suspense fiction. | Suspense fiction.DDC classification: 813/.54 Other classification: FIC006000 Online resources: Cover image Summary: "The Chinese dragon is flexing its muscles. As its military begins to prey on neighbors in the South China Sea, attacking fishing vessels and scheming to seize natural resources, the US goes on high alert. But a far more ominous danger lurks closer to home: a Chinese sleeper cell has planted a nuclear weapon in the harbor at Norfolk, Virginia, the biggest naval base on the planet. The target: a secret rendezvous of the Atlantic Fleet aircraft carriers and their battle groups. When the CIA director is assassinated and Jake Grafton is appointed to take his place, he gets wind of the conspiracy, but has no idea when or where the attack will occur. In the meantime, a series of assassinations, including an attempt on the life of the President, shake the country and deliberately mask a far more sinister objective. Can Jake Grafton and his right hand man, Tommy Carmellini, stop the plot to destroy the US Navy?" -- Provided by publisher. "The Chinese dragon is flexing its muscles. As its military begins to prey on neighbors in the South China Sea, attacking fishing vessels and scheming to seize natural resources, the US goes on high alert. But a far more ominous danger lurks closer to home: a Chinese sleeper cell has planted a nuclear weapon in the harbor at Norfolk, Virginia, the biggest naval base on the planet. The target: a secret rendezvous of the Atlantic Fleet aircraft carriers and their battle groups. When the CIA director is assassinated and Jake Grafton is appointed to take his place, he gets wind of the conspiracy, but has no idea when or where the attack will occur. In the meantime, a series of assassinations, including an attempt on the life of the President, shake the country and deliberately mask a far more sinister objective. Can Jake Grafton and his right hand man, Tommy Carmellini, stop the plot to destroy the US Navy?" -- Provided by publisher.